THE introduction of Star FM in June last year meant an opportunity for fresh voices on radio. One such voice is that of Phathisani Sibanda, who in just over a year has become a popular name in many households. He is known for his rather controversial obscure statements such as “Bata panonaka pasaisai reStar FM” and his radio name “Mkwasha Mboko”. For a man who has never dreamt of being a broadcaster, to him his presenting skills are a gift from God. “Star FM gave us wings and it is up to us to fly. I had never thought of myself being on radio but when I tried it, that is when I realised that I was a bit talented,” he said. The introduction of Star FM came was a life-changing opportunity for Sibanda, who had spend eight months jobless after being fired from the recording company he was working for. “I was one of the 1 000 plus people who auditioned for the job. I really needed the job because I was unemployed and my father was the one who was paying my rentals. I had been fired from my previous job,” he said. He could not, however, divulge why he was fired. He said since he has worked with musicians before, it did not take him time to interact with them as a radio presenter. Mkwasha Mboko said the adjudicators were impressed by his multi-linguistic skills. “I speak many languages, in fact I am the language bank at Star FM. “I am well versed with Ndebele, Nyanja, Tswana, Kalanga, Shona, English and Tonga. This was why I was given preference,” he said. Ever since he got the job, his star has been rising. “Working with seasoned broadcasters such as Admire Taderera, Comfort Mbofana and Innocent Tshuma has greatly influenced me. “Their commitment to what they do, their discipline and the way they plan their shift encourage me,” he emphasised. 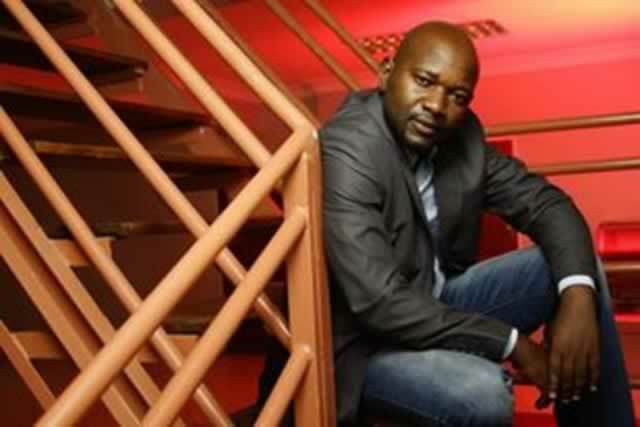 The Kambuzuma-based radio presenter said the secret behind his rise to fame is trying to introduce new things. “Listening to radio should be interesting. We try to be more interactive with the listeners and we tackle serious issues in a more subtle way. Because my shift is usually on the night, we discuss those issues that are related to the night,” he said with a chuckle. Sibanda said his relationship with Ollah 7 has grown that he cannot spend a day without seeing him. “I have a telepathic understanding with Ollah and a day hardly passes without seeing him. We are very good friends even outside the studio,” he said. Born in 1977, Sibanda is a devout Seventh-Day Adventist and a father of three. He said greatest role model is his father, Agrippa, who has stood by him even during the most trying times.